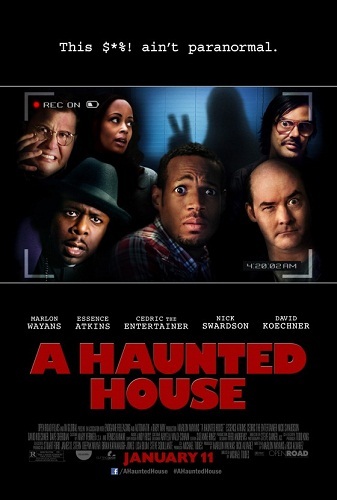 Tinsel & Tine has free screening passes to see Marlon Wayans and Cedric the Entertainer in A Haunted House - a side splitting horror/comedy about a married couple being haunted by a demon in their dream home. A HAUNTED HOUSE prize pack will be awarded to a lucky Tinsel & Tine Reader. Note: Tinsel & Tine has been authorized to offer tickets to this screening as a non-paid promotion. Tinsel & Tine is in no way responsible for this promotional offer. Please be sure to arrive to the theater early, screening passes do not guarantee seating - First Come First Serve! Would love to hear your feedback on all the paranormal stupidity, so please write a comment after the screening.